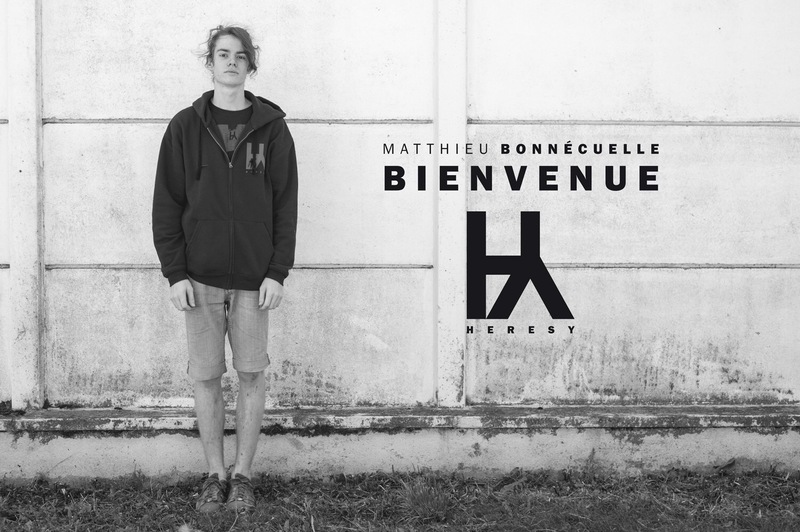 Today I’m very happy to announce that Matthieu Bonnécuelle joins HERESY. Young french Matthieu lives in the south of France, his hometown is Onet-le-Château near Rodez, in the heart of beautiful & mystic Aveyron. He loves riding, obscure music and his friends—and we love him. Filming in progress. Check his interview in the riders section. HERESY is Matthieu BONNÉCUELLE, Sebastian GRUBINGER, Michaël HUSSER, George MANOS and Alexis DESOLNEUX.